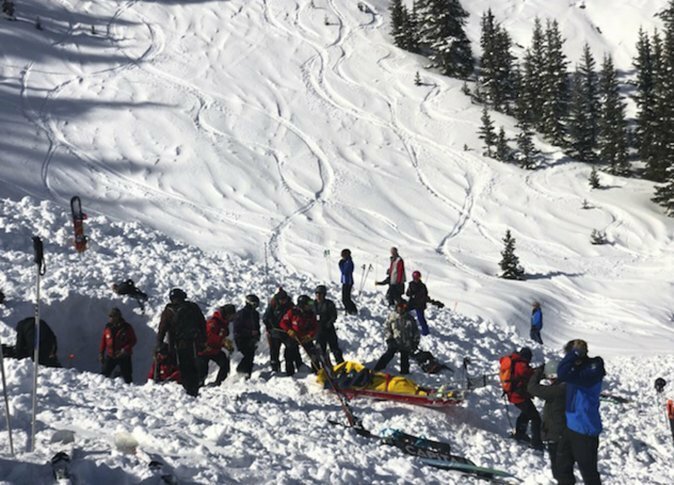 ALBUQUERQUE, N.M. (AP) — An avalanche rushed down a mountainside at a New Mexico ski resort on Thursday, injuring two people who were pulled from the snow after a roughly 20-minute rescue effort, a resort spokesman said. Taos Ski Valley’s terrain covers a 1,200-acre (or nearly 5-square-kilometers) area of the Sangre de Cristo mountain range. Its Kachina Peak is a nearly 12,500-foot (3,810-meter) summit. “If they occur, it’s not usually when anybody is around,” Brooks said of avalanches.